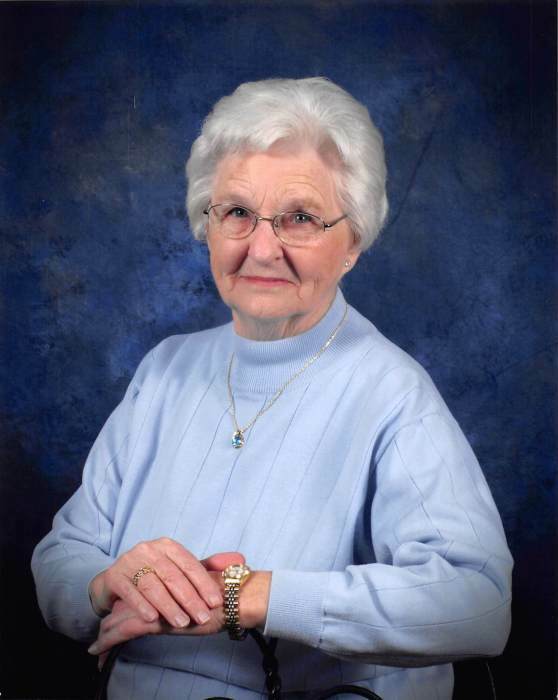 Eulene Mae Padgett Meadows Lykins, 88, of Flemingsburg, passed away peacefully on June 3, 2018, at Meadowview Regional Medical Center in Maysville, Kentucky. Eulene was born in the Cabin Creek community of Mason County on December 23, 1929, daughter of the late Morton and Christine (Henderson) Padgett. A 1948 Orangeburg High School graduate, Mrs. Lykins received her Christian foundation in the Bethany Church. She carried that passion with her throughout life as she lived a creative farm and homemaking lifestyle. Volunteerism was important to her and she was involved in countless Mt. Carmel Church, 4-H, and PTA events. In 1978, she was recognized as the Fleming County Master Farm Homemaker. In later years, Mrs. Lykins was a Licking Valley CAP van driver and RSVP volunteer. Mrs. Lykins is survived by a son, Randall (Willa) Meadows of Foxport, and daughters, Janice (Oney) Gifford of Mt. Olivet and Pamela (Rick) Edmond of Twin Fork Lake; granddaughters, Julie (Andrew) Fritsch of Paris, and Kristina (Justin) Fields of Maysville; grandsons, Daniel (Katey) Meadows of Columbus, Indiana, Frank (Billie Jo) Gifford of Mt. Olivet, and Nathan (Peggy) Lewis of Ewing. Great-grandchildren are Joe and Clara Fritsch, Collin and Lena Mae Fields, Amelia, Thomas, and Benjamin Meadows, Sarah, Shelby, and Clay Gifford, Jada, Riley and Sadie Eulene Lewis, and Jake Gifford; a sister, Ellen Applegate, and a wealth of cousins, nieces and nephews. She was preceded in death by husbands, Donald B. Meadows and Milton K. Lykins; siblings, Morton Padgett, Jr., Marlin Padgett, Patricia Craig, and Dean Padgett; grandsons, Clint Meadows, and John Gifford. Services will be held at Boone-Nickell Funeral Home in Flemingsburg at 2 p.m., Thursday, June 7, 2018, with Bro. Layne Wagner officiating. Pallbearers include Nathan Lewis, Frank Gifford, Daniel Meadows, Andrew Fritsch, Justin Fields, and Kenny Meadows. Honorary pallbearers include Julie Fritsch and Kristina Fields. Visitation will be from 6-8 p.m., on Wednesday, at the funeral home. Owl Hollow Road, Maysville, KY 41056).